José is a very suspicious person. He never uses internet banking services or buys anything using a credit card. Indeed, he doesn’t even have one. He doesn’t trust any of these modern technologies in the slightest. He’s well aware of all the risks that exist online, so José prefers to keep his life offline. However, not even that could save him from today’s cybercriminals. He lost more than $2,000 in a single day: José was p0wned by a barcode and a piece of paper. 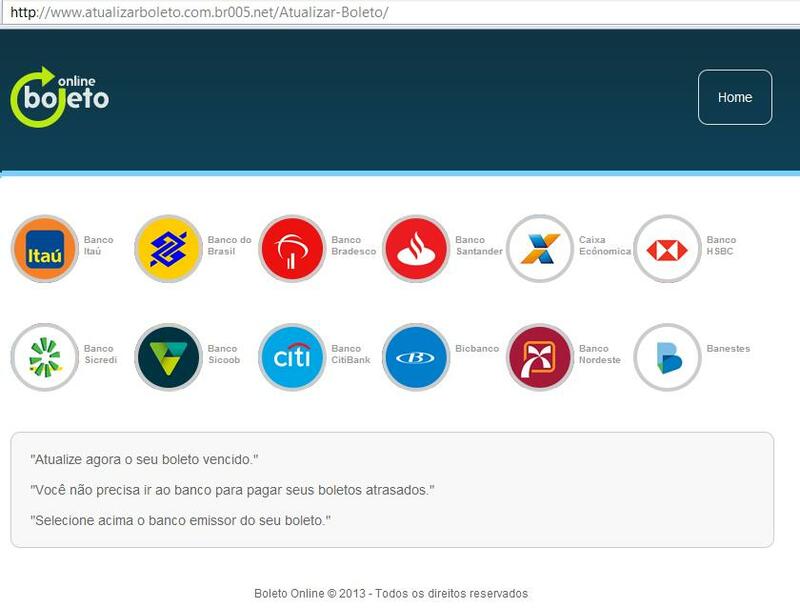 Brazilian crooks created a unique way of stealing money from these cautious, offline-only types: changing “boletos“, popular banking documents issued by banks and all kind of businesses in Brazil. Boletos are actually one of the most popular ways to pay bills and buy goods in Brazil – even government institutions use them – and they are a unique feature of the Brazilian market. In a series of online attacks targeting flaws on network devices – especially DSL modems – and involving malicious DNS servers, fake documents, browser code injections in the style of SpyEye, malicious browser extensions and a lot of creativity, the crooks have successfully stolen vast amounts of money, even from people who don’t have credit cards or Internet banking accounts. It’s a new worry for banks and financial institutions in the country. 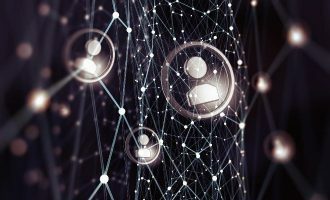 This article explains how these attacks have happened in Brazil, and gives advice on protecting customers even when they have chosen to live offline. 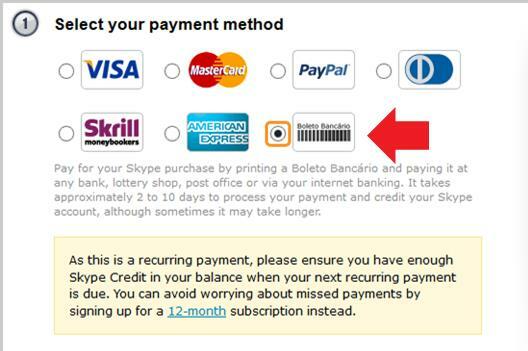 Boletos are a very popular and easy way to pay bills or buy goods in Brazil today; even online stores will accept this kind of payment. All you need to do is print and pay it. 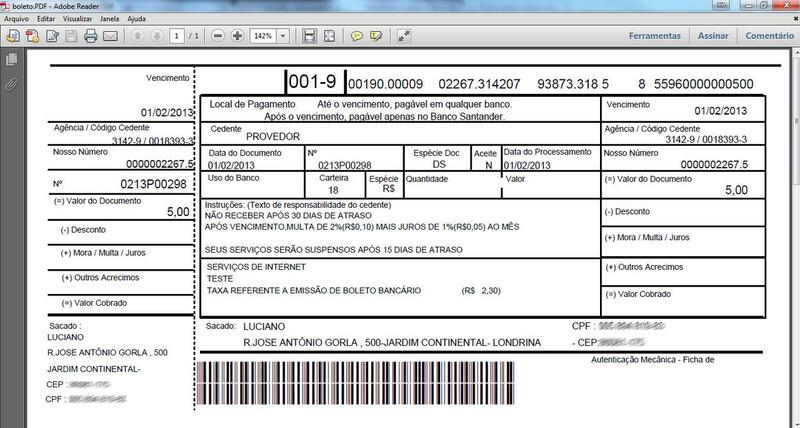 According to the Brazilian Central Bank 21% of all payments in the country in 2011 were made using boletos. A boleto comes with an expiry date. Before that date it can be paid in at ATMs, branches and internet banking of any Bank, the Post Office, Lottery Agents and some supermarkets until its due date. After the date it can only be paid at a branch of the issuing bank. The client also pays a fee levied by the bank; the fee increases with every passing day. Banks charge a handling fee for every boleto paid in by a customer. This fee varies from BRL 1,00 to BRL 12,00, depending on the bank. If the collection is registered then the bank will also charge a fee for every issued boleto, regardless of whether it was paid or not. Therefore, unregistered collections are more suitable for online transactions. The bank also takes into account the size of the client, so a client with a higher volume of banking transactions, who has been working with the bank for a while, etc, is able to get lower fees or even fee exemption, which made the boleto a very important sales tool inside big companies, e-commerce and the government. If a company want to do business in Brazil, it essential to use boletos – Apple, Dell, Skype, Microsoft, DX.com, Alibaba.com, and even FIFA in the 2014 World Cup used it in local operations. Issuer Bank: the financial institution responsible for issuing and collection based on an agreement between itself and the merchant. The bank, once authorized to collect payment for the merchant, will credit the amount owed by the client in the merchant’s bank account. 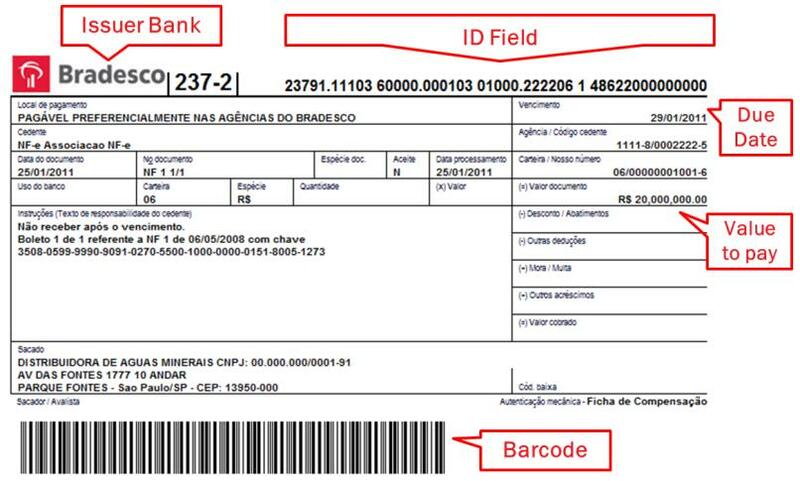 Identification Field: a numerical representation of the barcode, it contains all the information necessary to identify the merchant’s bank account and clear the payment. This field is used in home and self-service banking. Barcode: a code consisting of a group of printed and variously patterned bars (always 103mm in length and 13mm in height) and spaces and sometimes numerals that is designed to be scanned and read by a digital laser scanner and that contains information to identify the object it labels. 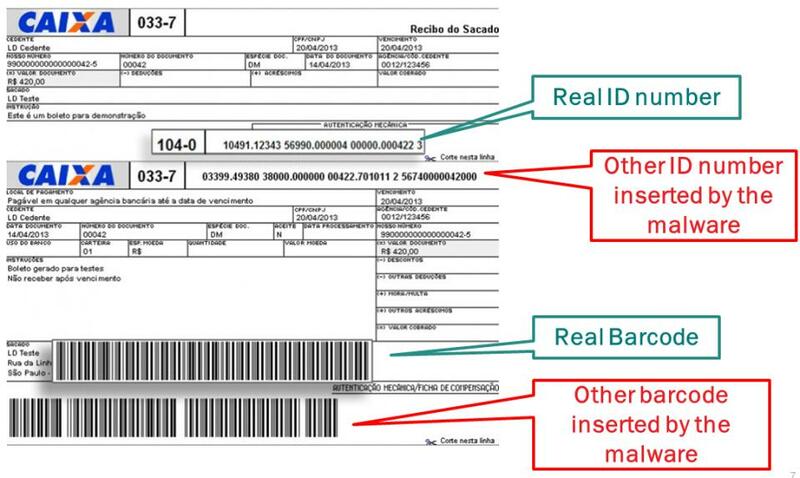 To pay a boleto at the bank or online all that is necessary is to scan the barcode – if it’s unreadable (due to a bad print) users can type in the 44-number identification code instead. Some banks have a barcode scanner in their mobile apps, so mbanking users don’t need to type the ID field; they can pay the boleto using their device’s camera. What could possibly go wrong? Well, how about changing the barcode or the ID field? It’s simple and means payments can be redirected to another account. 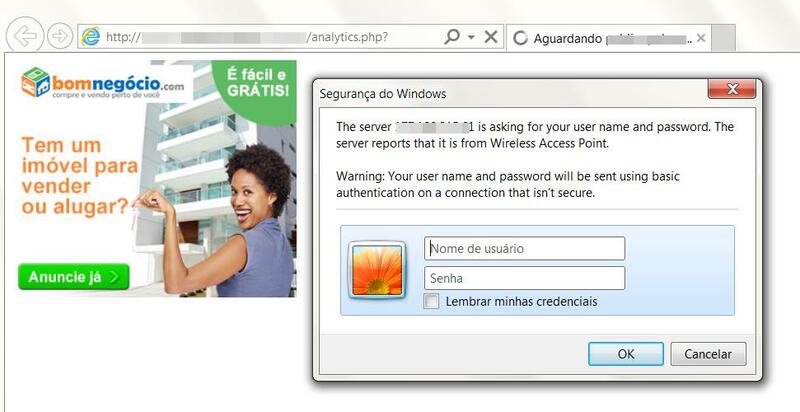 That’s exactly what Brazilian fraudsters started to do – and the easiest and effective way was using malware. 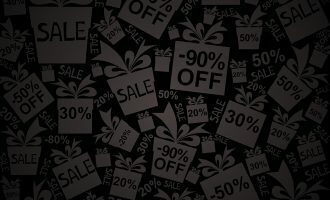 A boleto can be generated and printed by the store that is selling its products to you, or even by users themselves during an online purchasing process. It’s displayed in the browser, generally in HTML mode, using free libraries available for developers to implement in their ERP software or in their online store system. 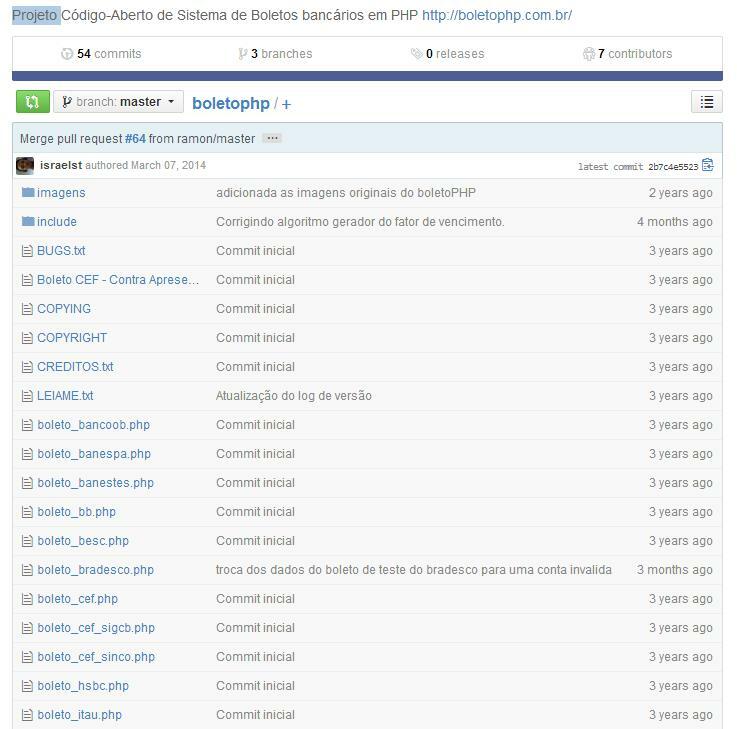 The extensive documentation and legitimate open source software used to generate boletos helps malware creators to develop Trojans which are programmed to change boletos locally, as soon as they are generated by the computer or browser. 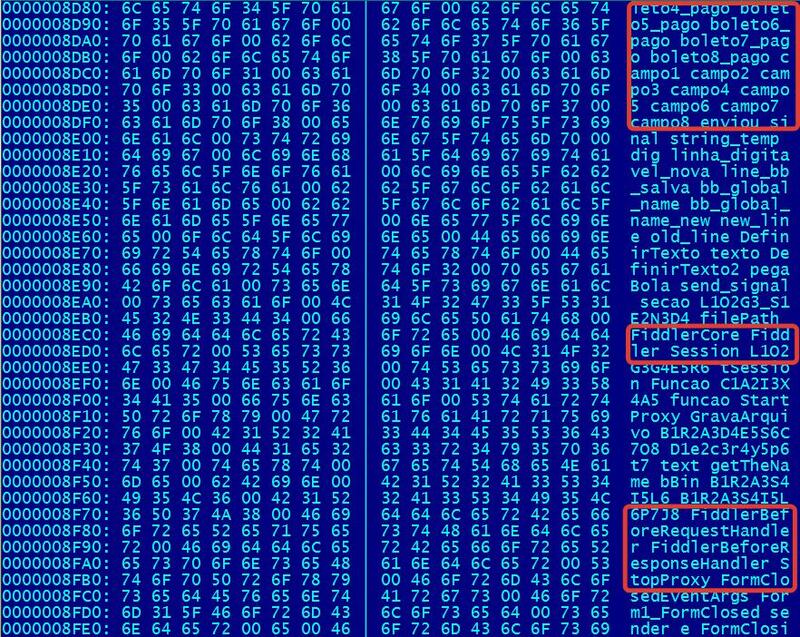 These Trojans were spotted in the wild in April 2013 by LinhaDefensiva.com and are still being distributed in Brazil today. 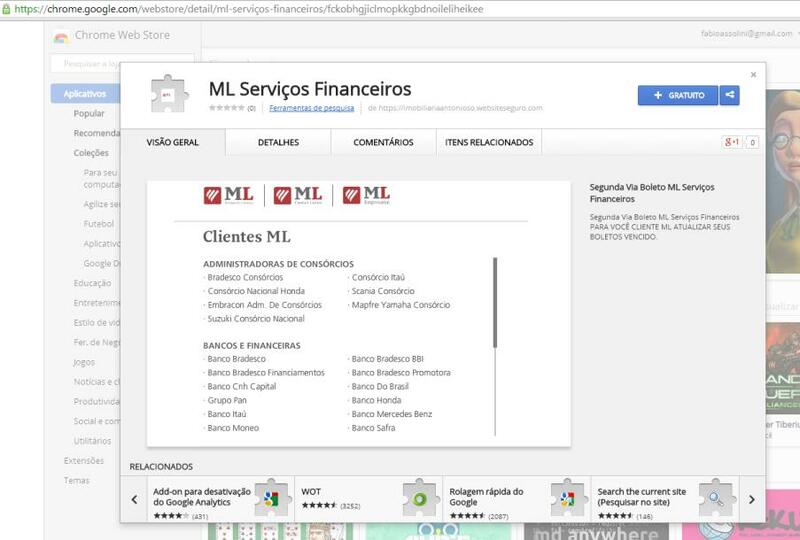 In fact most of the Brazilian criminals who use Trojan bankers to steal money are migrating their attacks to target boletos, using the same infrastructure. The ID field includes a lot of information, detailing the bank account that will receive the payment and other data used according to the rules established by each bank. The “Nosso Número” data (“Our ID Number”) is a unique identifier, different for each boleto. Changing the ID number is enough to redirect the payment to another bank account. 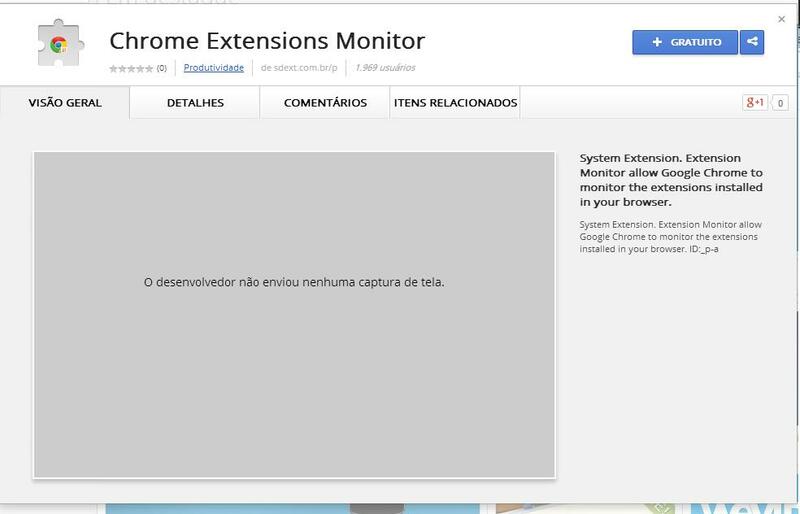 Since most boletos are now generated in a browser, the Trojan targeting Internet Explorer users installs a BHO ready to communicate with a C&C and monitor traffic, looking for words such as “boleto” and “pagamento” (payment), choosing the right moment to inject the code and replacing the ID number stored in HTML with a new one, downloaded from the C&C. We also found very professional control panels used by the fraudsters to collect data from infected machines and register every boleto as soon as it is generated. It’s the same infrastructure used in the development of Trojan bankers, as a fraudulent boleto is a new way to steal money from the users. 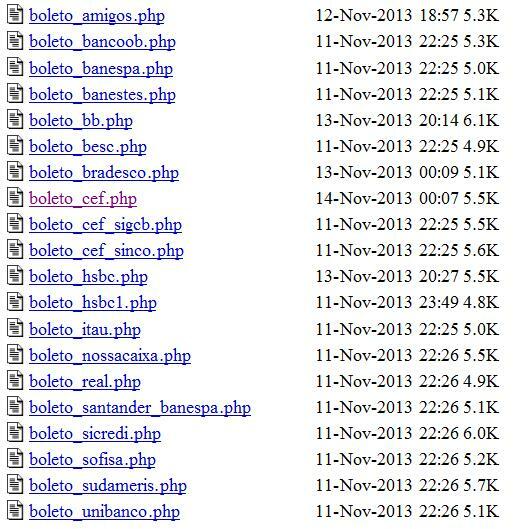 Some of the panels offer a lot of details to the crooks, such as the date/hour the boleto was generated/changed, the old ID field and the replacement injected by the malware, the value and the origin – where the boleto was generated, if it was local or on a website. 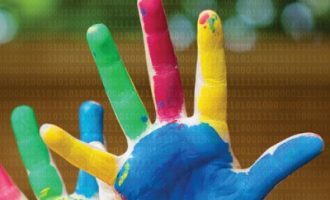 The boleto malware campaigns combined several new tricks to infect and steal from more users. One of the most recent is the use of non-executable and encrypted malware payloads XORed with a 32-bit key and compressed by ZLIB, using the extensions .BCK, .JMP, .MOD and others. It’s no coincidence that the same technique was used by the ZeuS GameOver gang. 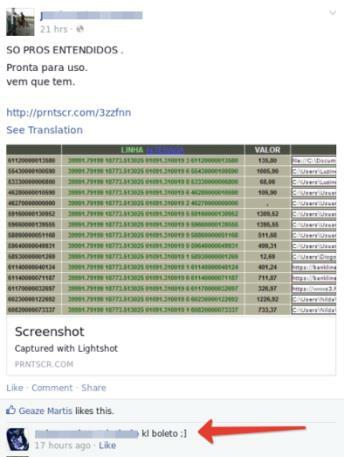 We have evidence of Brazilian criminals cooperating with western European gangs involved with ZeuS and its variants; it’s not unusual to find them on underground forums looking for samples, buying new crimeware and ATM/PoS malware. 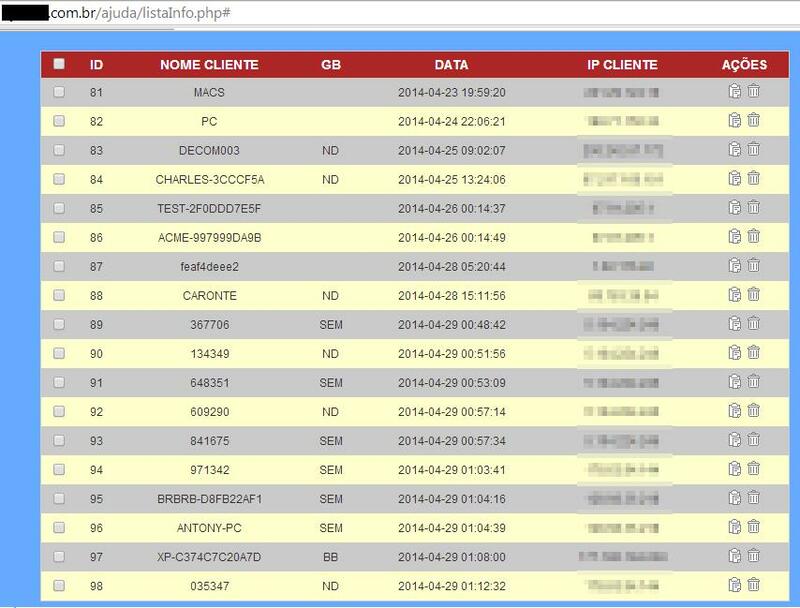 The first results of this cooperation can be seen in the development of new attacks such the one targeting payments of boletos in Brazil. Using encrypted payloads offers the criminals an effective way to bypass any firewalls, webfilters, network intrusion detection systems or other defenses that may be in place, as a tiny Trojan downloads these encrypted files and decrypts them to complete the infection. Another interesting approach seen in boleto malware is the role of Fiddler, a web debugging proxy tool normally used by malware researchers. Some boleto malware uses it to intercept SSL traffic or to do a MitM, aiming to change boletos generated even in HTTPS pages. The malware installs SSL certs from FiddlerCore on the infected machine and captures the traffic of HTTPS pages. Investigating the attack vector used by the fraudsters and looking at how the victims got infected we found that all possible techniques are used. 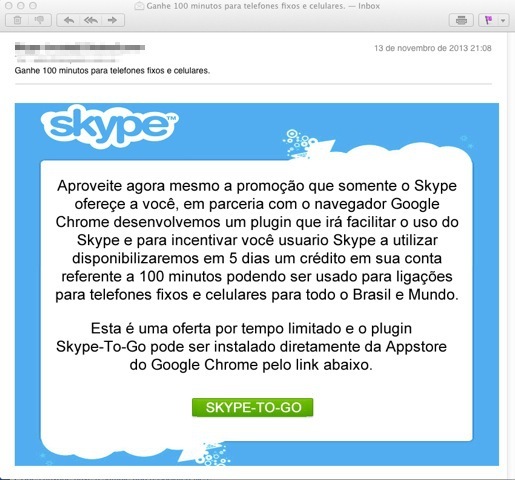 Social engineering attacks via well designed e-mail campaigns are the most widespread, but the most aggressive path includes the massive use of RCE on vulnerable DSL modems – in 2011/12 more than 4 million of these devices were attacked in Brazil and had their DNS settings changed by cybercriminals – the same approach is still being used to distribute this malware today. When an affected user tries to visit popular websites or Brazilian web portals the malicious DNS configured in the DSL modem offers to install a new Flash Player. 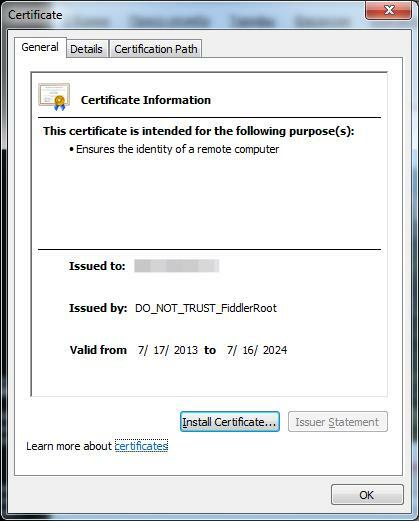 In reality, accepting this installation will infect the machine with boleto malware. The malicious script tries to guess the password of your home router. If it succeeds a new DNS server will be configured in the device and the criminals will control all your traffic. If it fails the compromised site will display a box asking for your credentials. Recently we identified more than 30 malicious DNS servers being used in these attacks in Brazil. What does the new DNS server do? It redirects users’ connections, serving phishing pages or even fake banking pages that modify every boleto the user generates. If the criminals can’t compromise your network device, they’ll target the ISP. 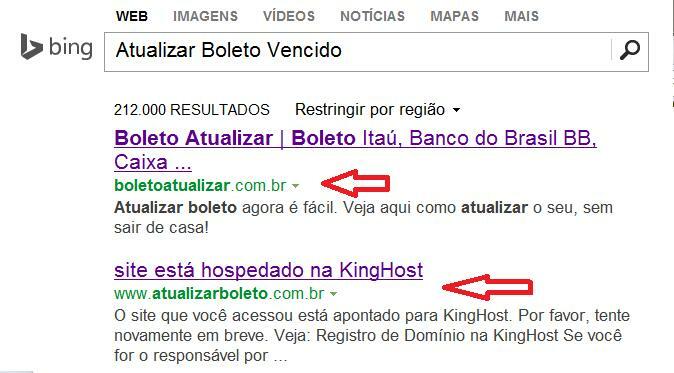 We have already seen a series of DNS poisoning attacks against Net Virtua, one of the biggest Brazilian ISPs. Every time the aim is the same, targeting boletos. Some fraudsters decided that spreading their Trojans wasn’t enough. They wanted faster returns and changed their tactics. They looked online, investing in sponsored links, fake websites that claimed to recalculate expired boletos (this is possible with this payment system) and malicious browser extensions for Google Chrome or Firefox. 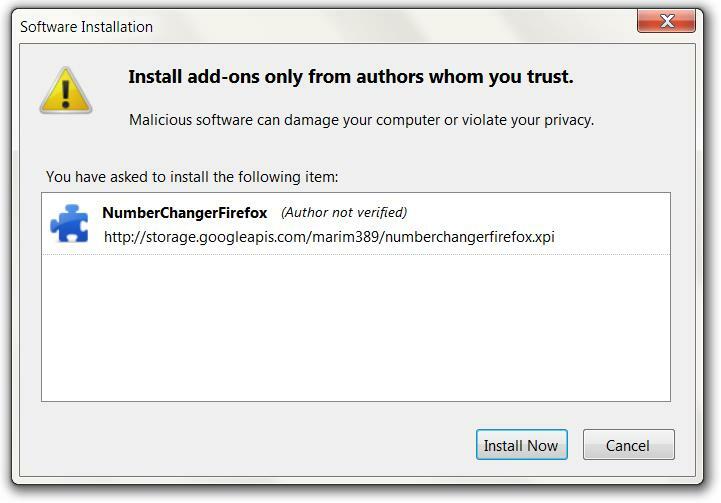 The huge number of malicious extensions prompted Google’s decision at the end of May 2014 to limit the installation of Chrome extensions. 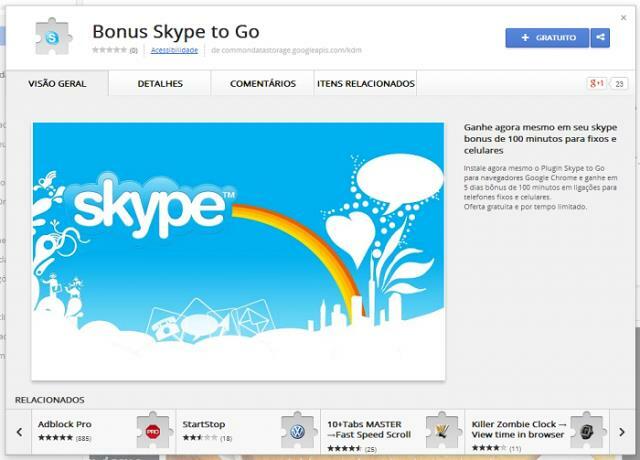 Now they can only be hosted on the Chrome Web Store, but it is no problem for cybercriminals to put their malicious creations there. Other interesting characteristic of boletos is that you can generate a counterpart copy, in case you lose the original one. Some banks also offer a service to customers who missed the payment deadline and need to recalculate the value of an expired boleto and reissue it, after paying a small fee. All companies working with boletos offer these services to their customers, generally online, and cybercriminals can attack here as well. The fraudsters decided to set up malicious websites that claim to offer re-issues or recalculations of expired boletos – but of course the new boleto is totally fake and redirects the payment to the criminals’ account. These attacks are carried out with the help of search engines, buying up sponsored link campaigns and putting their fraudulent sites to the top of the results. The fake websites that supposedly offer these services have a very professional design to help trick their victims. All you need to do is choose the bank that issued the boleto, type in the data and “reissue” it. It’s not just malware: the boleto gangs are using all the possible ways of tricking users and stealing their money. A very widespread attack such this one resulted in many victims. These attacks were especially notorious for their “crossover” to the offline world, stealing from people who do not use internet banking or buy things online. It can even steal from people who have never connected to the Internet in their lives. Several infected computers in thousands of stores all over the country started to generate fraudulent boletos for their customers. Once printed and paid they sent the money directly to the cybercriminals’ accounts. 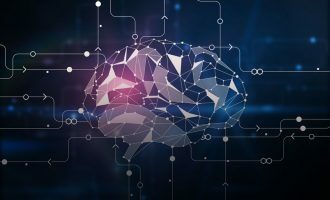 This sparked a real avalanche of Trojans using the same technique, and several businesses were badly affected. 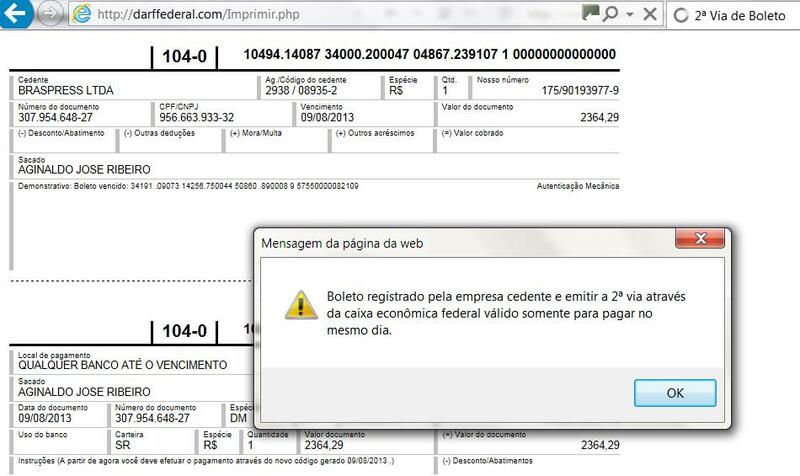 Many companies, the association of shopkeepers and the Brazilian government all issued alerts to their customers about the fraudulent boletos issued by these trojans (e.g. 1, 2, 3, 4). A lot of money was stolen and even now this fraud is costing banks, stores and customers dear. Looking at these values led us to ask: how much money was stolen? How many victims? It’s not easy to get this number if you do not thoroughly understand the Brazilian cybercrime environment. 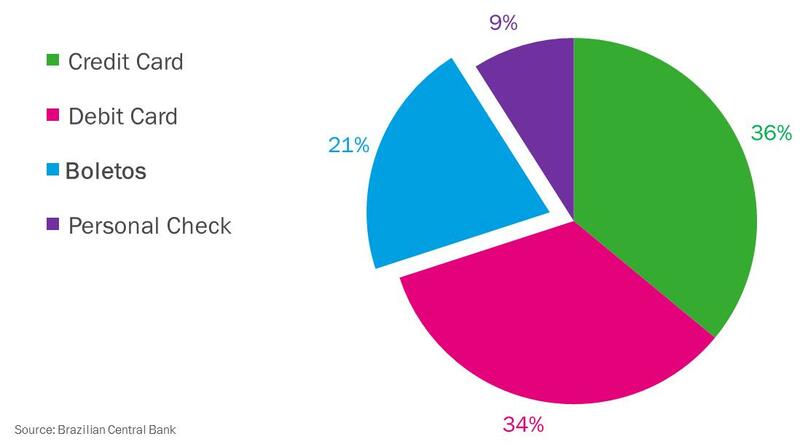 RSA found 495,793 boletos and 192,227 victims in their investigation. Once inside the control panel, they found the values of all payments that the virus had redirected. Added together, those payments topped the US$3.75 billion mark. This figure, however, includes everything – payments not made and payments that were made but not authorized by the bank (as the fraud was detected). 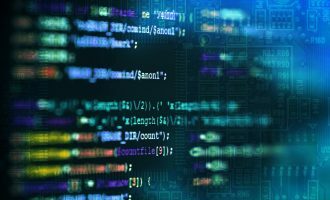 It also includes any test payments made by other researchers trying to understand the malware behavior or even tests made by the bad guy, or even duplicated entries as some customers tried to generate the same boleto several times. Counting every entry in a C&C resulted in this absurd number of R$ 8 billion, which averages at R$ 16,000 for each boleto. This value is unreal and incorrect — most boletos are worth far less. They also estimated a number of victims at 192,227. They did this by counting unique IP address, which is very unreliable. As in other parts of the world, most connections in Brazil use dynamic IP addresses. Other errors in the RSA report were highlighted by the LinhaDefensiva community in this article. So how much was really stolen with fraudulent boletos? In reality only the banks can suggest a final total. The Brazilian Federation of Banks (FEBRABAN) publishes the combined losses faced by all banks due to electronic fraud each year. The year with the most losses so far was 2011. That year, they lost R$ 1.5 billion, or US$ 680 million. One thing is certain: Brazilian cybercriminals are moving fast, adopting new techniques to continue attacking and stealing money from boletos. They would not waste their time if the scam was not profitable for them. 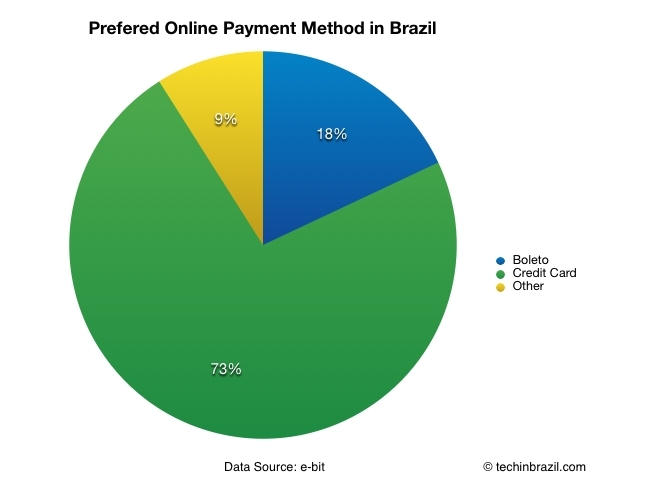 This is a common question from users and businesses in Brazil working with boletos. Is it possible using this payment method securely? 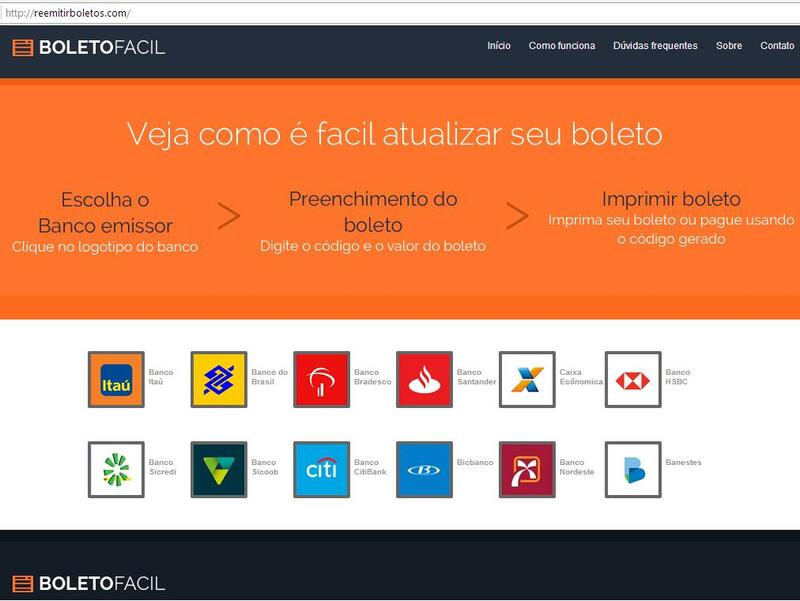 FEBRABAN, the Brazilian Federation of Banks, suggests using DDA (Debito Direto Autorizado, Authorized Direct Debit). This replaces a printed boleto with an electronic bill, automatically withdrawing funds from another person’s bank account after both parties pre-authorize the deal. However some Brazilian companies are concerned by the higher costs associated with DDA. In this case we advise issuing boletos in a PDF format generated on the server-side, instead of using HTML format. At present no Trojan can modify a PDF boleto. 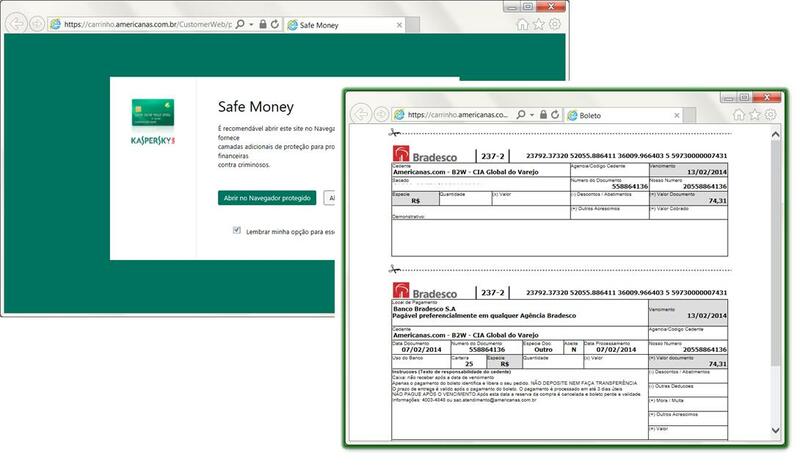 Kaspersky Fraud Prevention platform also stops Trojans designed to capture HTTPS traffic using Fiddler. 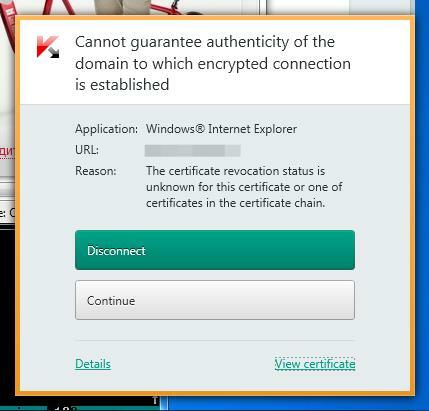 KFP compares this fake certificate of Fiddler with the real certificate used by the Bank or payment service and then blocks access. 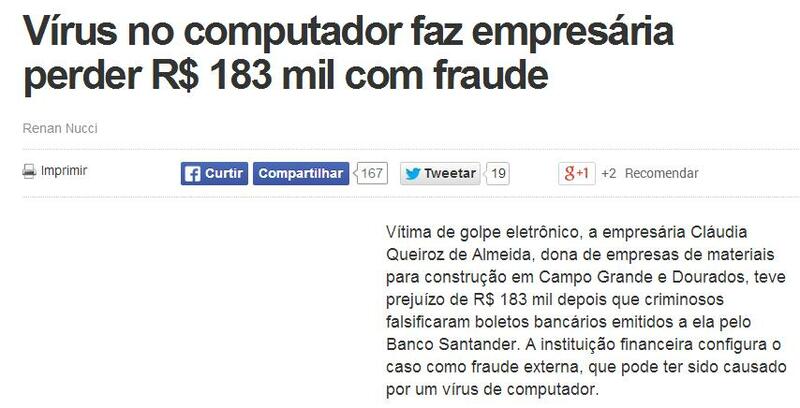 To complete the scenario Brazilian criminals specialize in identity theft. They often open banking accounts in the name of innocent people who know nothing of the situation, using stolen personal data. With money mules and accounts opened in the name of dead people; it’s easy to see why it’s so difficult to track stolen money. Boletos are a very local and distinctive payment method; most other countries don’t have anything similar and don’t even know what a boleto is. Unfortunately security companies pay little attention to Brazil and miss a lot of issues that only local intelligence can detect and offer expertise. 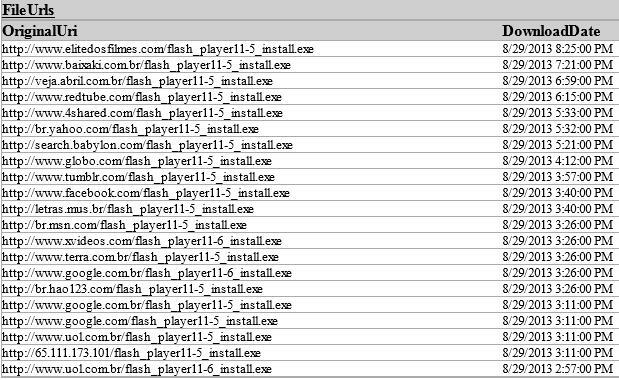 Local criminals are strictly limiting their attacks to Brazilian IPs and only install their Trojans on machines operating in Brazilian Portuguese. Brazilian cybercriminals are following the same path as their counterparts in Russia and China, with a very specialized cybercrime scene where attacks on locals require special effort to understand properly. 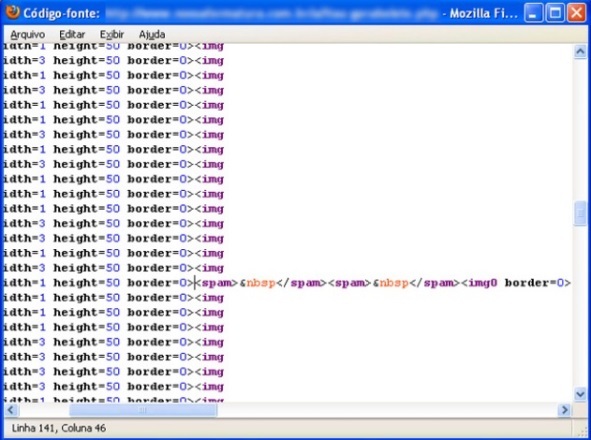 They are also sharing knowledge with cybercriminals from Eastern Europe, exporting new techniques such this one described here, clearly inspired by SpyEye, to do code injection. The article about Boletos is really great ! It´s unbelievable how creative (for the bad) could a hacker be. I´m from Brazil and I knew many companies with these problem. Excelente post! Existe uma versão dele em português? Gostaria de divulgar aqui onde trabalho.